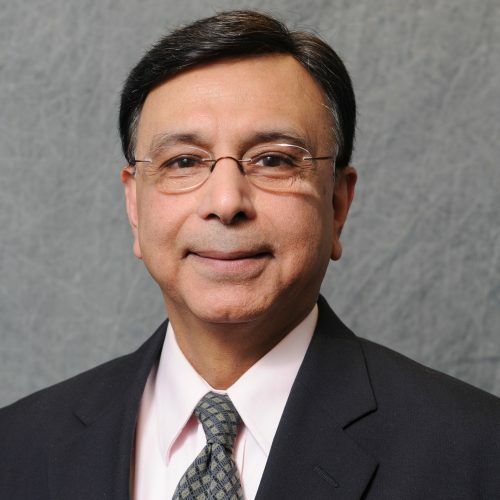 Dr. Khosla's research is in bituminous and concrete materials and highway pavements. Ayyala, D., Malladi, H., Khosla, N. P., & Tayebali, A. A. (2014), In Asphalt Pavements, vols 1 and 2 (pp. 701–708). Bienvenu, M. E., Khosla, N. P., & Tayebali, A. A. (1998), In Seventh International Conference on Low-Volume Roads 1999 (Transportation research record; 1652) (Vol. 1652). Washington, D.C.: National Academy Press. Tayebali, A. A., Malpass, G. A., & Khosla, N. P. (1998), In Superpave: Binder specifications, mixture design and construction (pp. 36–43). Washington, DC: Transportation Research Board. Tayebali, A. A., Malpass, G., Khosla, N. P., & Waller, H. F. (1998). , . Raleigh, NC: Center for Transportation Engineering Studies, North Carolina State University. Use of Recycled Asphalt Pavement (RAP) in asphalt pavement construction is increasing significantly due to emphasis on cost savings and sustainability. The incorporation of higher percentages of RAP warrants complete characterization of the blended asphalt binder in the mix. The binder properties of asphalt mixtures containing RAP are a function of the virgin binder grade, as well as, the properties of the binder contributed by RAP. Recycled binder from different RAP sources exhibit different stiffness levels. This is due to different virgin binders used in the construction of the recycled pavements and the extent of oxidative hardening due to environmental effects and other kinds of exposure of the recycled pavement sources. The objective of the ongoing research projects RP 2012-04 and RP 2013-06 is to place limits on percentage of binder contributed by RAP, instead of percentage by weight of mix replaced. As part of this ongoing research, extensive testing of asphalt containing different virgin binder grades and percentages of recycled binder is being performed, and blending charts are being developed to determine allowable amounts of recycled binder. Since recycled binders from different RAP sources exhibit different properties, the limits determined for binder from a single RAP source are not directly applicable to all RAP sources. The proposed research seeks to investigate the variability of recycled binder properties across different RAP sources to develop a framework that enables selection of appropriate amount of RAP to be used in conjunction with different virgin binder grades. Several RAP stockpiles will be selected and the recycled binder extracted from RAP will be characterized using the Dynamic Shear Rheometer to identify differences across the stockpiles. Recycled binder from three sources that exhibit the highest variability will be used to prepare blends and binder limits will be determined. RAP samples obtained from different locations in the same stockpile will be used to determine variability within a single source. As a result, a draft specification will be developed to select the optimum amount of recycled material based on the RAP source binder properties. As materials and construction costs continue to increase, there is a strong interest by both Agencies and Industry to develop ways to include more recyclable materials in asphalt pavements. With both cost savings and sustainability in mind, the NCDOT has increased allowances for recycled materials in hot mix asphalt (HMA) in the past few years. The two recyclable materials that receive the most use in North Carolina are recycled asphalt pavement (RAP) and recycled asphalt shingles (RAS). With respect to recycled shingles, the NCDOT has also begun allowing waste shingles from the re-roofing of buildings in HMA. In this project, NCDOT?s current specification for designing recycled HMA mixes will be compared to other agencies? specifications and/or research practices. The specific objectives of this research project will be to extend the investigation in the ongoing RP 2012-04 of various sources of recycled binder including Recycled Asphalt Pavement (RAP) and Recycled Asphalt Shingles (RAS) to determine limits for the amount of allowable recycled material based on Performance Grade (PG) binder testing to S9.5C and S9.5D mixes. Application of the binder limits for B mixes to C and D mixes is inefficient due to different virgin binder grades as specified in NCDOT?s specifications, as well as different aggregate gradation. Using the allowable amount of recyclable materials, the effects on HMA mixes will be determined through material performance. The objectives of this research will be met by recovering the binder from the recycled materials and performing Performance Grade (PG) testing on the binders. Once this is complete, the limits for the allowable amounts of RAP, RAS and PRAS will be determined due to the binder rheology. Once the limits have been determined, Dynamic Modulus and Flow Number Tests will be performed. A draft specification will be developed at the end utilizing the limits for the recycled materials based on the recycled binder percentage in the mix. As materials and construction costs continue to increase, there is a strong interest by both Agencies and Industry to develop ways to include more recyclable materials in asphalt pavements. With both cost savings and sustainability in mind, the NCDOT has increased allowances for recycled materials in hot mix asphalt (HMA) in the past few years. The two recyclable materials that receive the most use in North Carolina are recycled asphalt pavement (RAP) and recycled asphalt shingles (RAS). With respect to recycled shingles, the NCDOT has also begun allowing waste shingles from the re-roofing of buildings in HMA. In this project, NCDOT?s current specification for designing recycled HMA mixes will be compared to other agencies? specifications and/or research practices. The specific objectives of this research project will be to investigate various sources of recycled binder including Recycled Asphalt Pavement (RAP) and Recycled Asphalt Shingles (RAS) to determine limits for the amount of allowable recycled material based on Performance Grade (PG) binder testing. Using the allowable amount of recyclable materials, the effects on HMA mixes will be determined through material performance. As a result, a draft specification will be developed utilizing the limits for recycled materials based on recycled binder percentages in the mix. The objectives of this research will be met by recovering the binder from the recycled materials and performing Performance Grade (PG) testing on the binders. Once this is complete, the limits for the allowable amounts of RAP, RAS and PRAS will be determined due to the binder rheology. Once the limits have been determined, Dynamic Modulus, Flow Number and Superpave Simple Shear Tests will be performed. A draft specification will be developed at the end utilizing the limits for the recycled materials based on the recycled binder percentage in the mix. After success in Europe, Warm-Mixed asphalt (WMA) technology started to spark interest in the United States. The major advantages of implementing WMA technology are its ability to reduce emissions, lower energy consumption and increase workability. Several state DOTs have invested in research in WMA including Virginia, Tennessee, California and Texas. There are several additives being used for the production of Warm-Mixed asphalt. Those proposed to be used in this research are Zeolite and either Evotherm 3G or Sasobit®. In addition to the use of WMA additives, ?The Foamer? device that produces WMA will also be used. Use of these products has shown that there is a consistent reduction in production temperatures of up to 50oF. This temperature reduction has the potential to reduce production costs and emissions from the production plants. Implementation of WMA technology may pose some important engineering challenge. As most of the technologies use water to increase workability, the mixtures may be susceptible to moisture sensitivity. In addition, although, reduction in mix production temperature will subject the mix to less oxidative hardening, the reduced hardening may increase the mix susceptibility to permanent deformation. The objectives of this research project are to evaluate the moisture susceptibility of North Carolina mixes using three different WMA technologies. Volumetric and material performance characteristics will be evaluated using WMA in comparison to HMA. This comparison will enable NCDOT to select the best WMA technology and determine if such technology will result in adequate mix performance with respect to moisture susceptibility, fatigue, and permanent deformation. If the WMA mixes are adequate, it may result in more economical pavements in the present increasing fuel cost environment. The main tool in the volumetric mix design is the Superpave Gyratory Compactor (SGC). A satisfactory mix design is one that meets rigorous volumetric requirements at initial and design levels of gyrations (Ninitial and Ndesign, respectively). These levels are, in turn, determined by the total traffic, expressed in single equivalent single axle loads (ESALs), expressed on the pavement over its projected service life. Based on this criteria, it is expected that the SGC densification curves correlate with the pavement performance and, in particular, with permanent deformation. Premature rutting of asphalt pavements is a serious concern experienced in recent years due to the increased traffic and wheel loads. Rutting is defined as the accumulation of small amounts of unrecoverable strain resulting from applied wheel loads to HMA pavement. This deformation is caused by excessive traffic consolidation or plastic deformation due to insufficient mixture stability. Rutting is likely to be a sudden failure that would occur in the early stages of a pavement?s life. Rutting not only decreases the useful life of a pavement but also creates a safety hazard for the traveling public. Therefore, it is important to estimate the rutting potential of a mixture before construction. Several test methods are in practice to assess the rutting potential of a mixture. Of the different laboratory rut testers, the Asphalt Pavement Analyzer (APA) is the most widely used loaded wheel tester. The APA test is not a fundamental test for permanent deformation. It can be considered as a simulative test, which simulates the traffic loading and temperature effects on compacted asphalt mixtures. Recent research project conducted at NCSU (HWY-2005-13) compared the APA test results with the results for fundamental tests obtained on a large variety of asphalt mixtures. Findings of this research project showed good correlations between results of APA and shear tests and from these correlations, APA rut depth criteria were developed. From HWY-2005-13 project, regression models were developed to characterize the rutting behavior of each individual mix by considering effects of test temperature, aggregate types and traffic volumes. However, to recommend a specific rut depth criteria for acceptance/rejection of HMA, there is a need to compare and validate model predictions and further modify APA rut depth criteria by testing representative field cores for surface mixtures. Such a validation will assist the NCDOT in better understanding HMA that may be prone to rutting and will be of great use for design and Quality Control / Quality Assurance purposes. For realistic and accurate relationships between laboratory performance and actual performance in the field, it is important to conduct laboratory tests using field cores. This research project aims to validate and modify the rut depth criteria developed in the earlier project, by incorporating the test results of field surface mixtures. The Dwight D Eisenhower Transportation Fellowship Program has granted round trip travel expenses for Beth Visintine to attend the Transportation Research Board in Washington DC during the period of 9/01/07-9/01/08. The primary event will be attendance at the TRB Annual meeting. Estimated costs are $21,068 including travel from Raleigh, NC to Washington DC, travel, lodging and conference registration. According to the grant letter, ?any remaining funds after TRB expenses may be applied to the student?s tuition or living stipend?. One of the requirements for the North Carolina Department of Transportation (NCDOT) quality control and quality assurance (QA/QC) inspector certification for employees of NCDOT and private contracting firms is the completion of a mix design method for asphalt concrete mixes.The Marshall mix design procedure, based on technology developed in the 1940?s, has now been replaced by the new SUPERPAVE (Superior Performing Asphalt Pavements) technology. NCDOT has expressed an interest in NCSU-Civil Engineering to conduct several of the Superpave mix design workshops for asphalt concrete. It is anticipated that the first such workshop will be conducted May 14 to 18, 2007. Two additional workshops will be conducted at mutually agreeable times between NCDOT and NCSU-Civil Engineering contingent upon availability of a minimum of 20 and a maximum of 25 participants per workshop. The recycling of asphalt pavements has become a very routine procedure throughout the country. Research has shown that the Recycled Asphalt Pavement (RAP) recovered from construction sites still contains usable materials, both in the recycled aggregates and recycled binder. However, since the RAP binder has been aged during its service life, the use of RAP in new pavement construction may cause the stiffness of the blended binder to increase. Due to this increased stiffness, it is sometimes necessary for a ?grade shift? in the virgin binder in order to result in the specifications for the desired performance grade. As this complicates the procedure most contractors limit the use of RAP to 15% in order to avoid the need for a grade shift. This has resulted in large amounts of RAP going unused. The use of higher percentages of RAP in construction would provide initial cost savings. However, a life cycle cost analysis is needed in order to determine whether use of higher percentages of RAP provides an economical advantage for the life cycle, not just initially. In order to predict life cycle costs, the fatigue life and rut resistance of mixtures containing various amounts of RAP will be compared to a 100% virgin material mixture. The fatigue life and rut resistance of the mixtures will be calculated from laboratory testing using Frequency Sweep Testing Using Superpave Simple Shear Tester (SST), Repeated Simple Shear Tests Using Superpave Simple Shear Tester (SST) Device, and Indirect Tensile Strength Test. The SHRP A-003A surrogate models and the Asphalt Institute models will both be used in order to predict pavement performance using the results from the Frequency Sweep Testing Using Superpave Simple Shear Tester and the Repeated Simple Shear Test Using Superpave Simple Shear Tester. The results from the Indirect Tensile Strength Test will be used in regression models to predict pavement performance. Based on these results, the life cycle economic analysis can be completed and the optimum percentage of RAP can be determined for use in the construction of new pavements. During its lifetime, an asphalt concrete layer is subjected to many distress mechanisms: rutting, fatigue cracking, temperature cracking and moisture induced damage. Moisture damage of asphalt mixes, better known as stripping, is one of the major distresses affecting pavement performance. NCDOT currently uses the Tensile Strength Ratio (TSR) test to determine Hot Mix Asphalt (HMA) mixture?s moisture sensitivity and stripping potential. Findings of current research study at NCSU show that Tensile Strength plays a significant role in the performance of a mixture under fatigue, rutting and moisture susceptibility and found a strong correlation among Individual tensile strengths and mix?s predicted fatigue life and rut depth. Also, from the study it is evident that the individual values of tensile strength of conditioned and unconditioned specimens along with TSR values should be employed in assessing the effect of water damage on the performance of pavements. However, the present study used only three aggregate sources and two gradations. Indirect Tensile Strength (ITS) value of an asphalt concrete specimen depends mainly on the type of the aggregate used in making the specimen, the aggregate interlock in the specimen and the cohesion of the binding agent, asphalt. Therefore, more data collection is needed to cover the remaining superpave mixes and aggregates used in North Carolina. Although the volumetric Superpave mixture and analysis system has been successful in developing durable mix designs, many engineers feel that a ?proof? test is needed to ensure adequate performance for asphalt concrete mixtures. The current study indicates that the mixtures having higher Indirect Tensile Strength values have better fatigue and rutting performance. Since there is no strength criterion prescribed in the design of Superpave mixtures, an optimized value of tensile strength can be used as a good criterion in design of Superpave mixtures. This proposal aims at developing a mix design methodology using tensile strength testing of various asphalt mixtures as well as the correlations among the tensile strength and performance parameters of mixtures (fatigue and rutting).